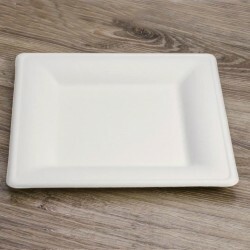 Square plate in sugar cane fibre ideal for happy hour, snacks and buffet.It makes your table look elegant but still ecological. It's an elegant plate of excellent quality with a high thermal resistance. It can be used in the oven and microwave for warming-up. 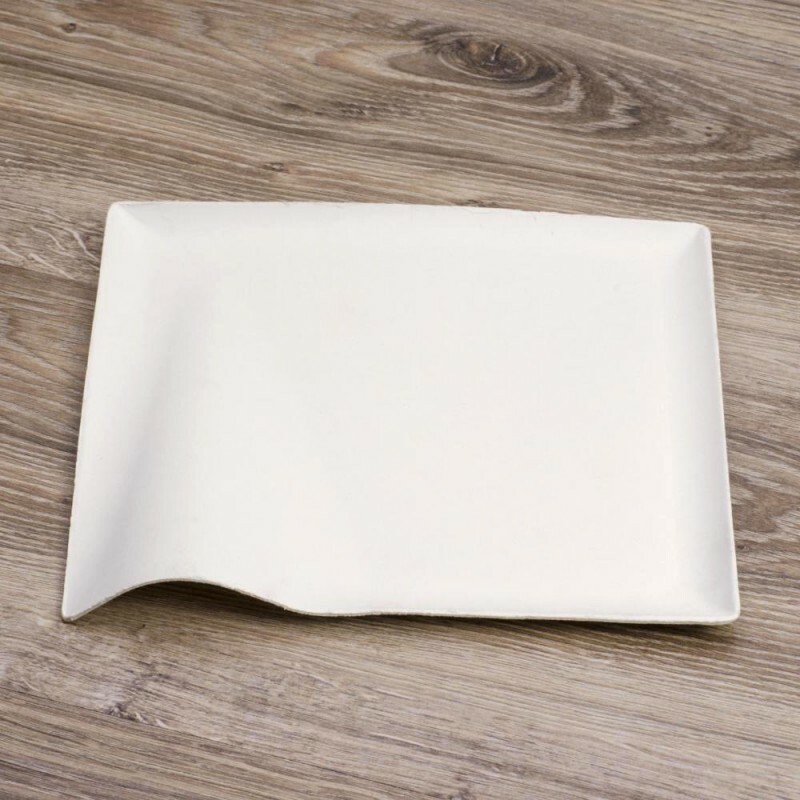 It is a completely biodegradable and compostable product according to the norm EN13432, made of natural fibers obtained from plants growing spontaneously (renewable) and in particular by the processing of waste sugar cane and bamboo. Suitable for contact with any type of food as required by UE and international regulations. The proper disposal is in the organic waste. This environmentally friendly product, for sale on Ecobioshopping, can still be recycled in the container of recycling paper. If dispersed into the environment by mistake, it degrades naturally without a trace.